Not many footballers at this level can lay claim to scoring a screamer versus a side that has won the FA Cup but Sporting 50's Rocky Bugden can do so after yesterday's Surrey South Eastern Combination Junior Division One game against Wanderers FC. The current incarnation of the famous Wanderers FC were reformed in 2009 with the approval of descendants of the those involved with the historic original club who famously won the FA Cup in 1872, 1873, 1876, 1877 and 1888. 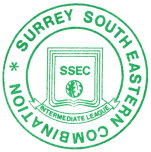 The original intention was to play the occasional match for charity but since 2011 they have been members of the Surrey South Eastern Combination. This season has been a real struggle (losing many players who have retired, relocated or left the club) for the first team winning just one of their eleven league and cup games before yesterday's game with recent 2-10 (v Cheam Village Warriors) and 2-9 (v Dover House Lions) defeats. They had even lost a League Junior Cup game 2-1 against Wanderers Reserves back on Saturday 23rd September. Cheam based "Sporting 50" were their opponents yesterday who were formed back in 2013 and have been climbing through the league's since earning promotion in 2014, 2015, and 2017. The name of the club comes form when the founder of the club always took a £50 note with him when he was involved with Raynes Park Vale and didn't let any player leave until it had been spent in the bar afterwards - with the price of pint in London these day's it would only take a few minutes to spend it now!! The game was played in the shadow of Raynes Park Vale's home on Prince George's Playing Fields and was what I would describe as proper football. The game was scheduled to kick off at 1pm but the teams were ready only for the referee to appear at around 15 minutes late when the game started. The Wimbledon and District League Invitation Group D game between Merton Orient and Wimbledon Saints had kicked off on time on the adjoining pitch. There were several other games taking place on the other pitches which was great to see. The first half was lit up by Rocky Bugden's goal - He received the ball in his own half he ran forwards and hit the ball over the Wanderer's keeper from just inside the penalty box. James Rhodes scored their second goal when he finished off a quick break up field after a Wanderer's corner had come to nothing. Rhodes doesn't get on the score-sheet frequently - The last one came eight years ago! I am a big fan of Sporting 50's kit as well - the pink shirts look decent. The final scored was 2-0 with Wanderers hosting Shaftesbury Town next weekend still looking for a win in their league campaign for 2017/18 with Sporting 50 entertaining AFC Walcountians in the League Junior Cup Round Three. PROPER GRASS ROOTS FOOTBALL - WANDERERS V SPORTING 50 PLAY THE LAST TEN MINUTES OF THEIR GAMES WHILST MERTON ORIENT AND WIMBLEDON SAINTS GATHER ALL THEIR STUFF AND HEAD FOR THE CHANGING ROOMS.